Couturier and owner Laysieng Ngo graduated from Richard Robinson Academy of Designs as a fashion designer in 1995. In 1997, she graduated as a couturier and received the Award of Excellence and Outstanding Collection. Since then, Laysieng has opened up her own bridal boutique called Laysieng Couturier. 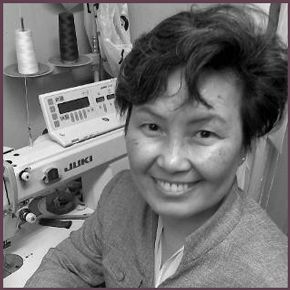 Laysieng enjoys working one-on-one with her clients, helping them choose a specific style and size from one of many designer lines carried by Laysieng Couturier. All fittings and alterations are done on the premises and are available at an additional cost. Common wedding gown alterations include the hem, the sides, the bustle and the cups. Laysieng particularly focuses on customer service, understanding that the customer has visited her store because she is anticipating an exquisite event. She operates under the philosophy that all her clients should receive full attention, full satisfaction and quality service at a reasonable price.